This is reputed to be among the most winter hardy of the rosemaries. The greyish green leaves are narrow and the flowers are pale bluish white. 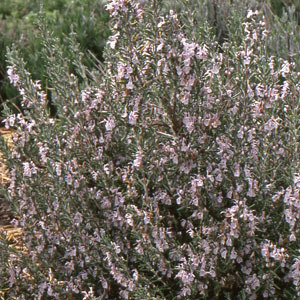 Culinary cultivar. Categories: All Items, all potted plants, bee nectar plants, butterfly nectar collection, culinary herbs, deer resistant, medicinal herbs, More..